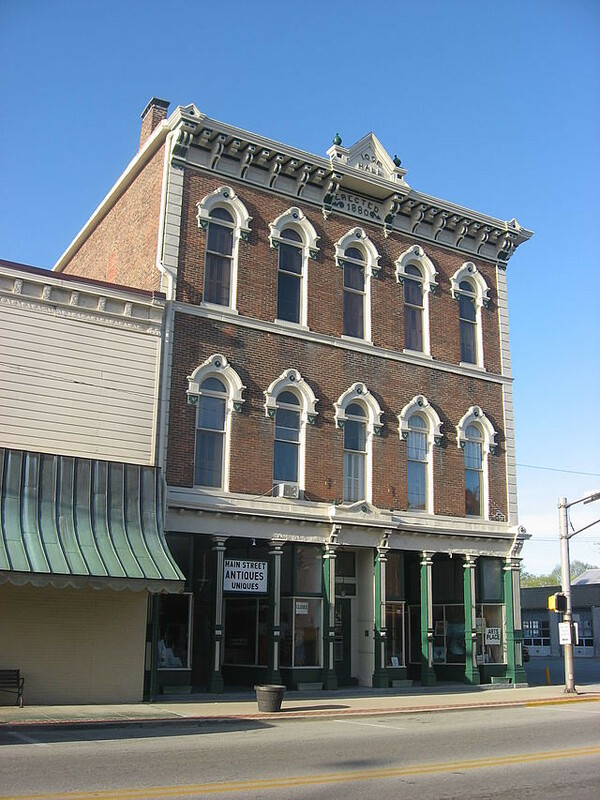 Historic architecture, new buildings, sidewalks, streets, lighting, and landscaping are all a part of the Hagerstown’s character. Maintaining the appearance of downtown and residential neighborhoods will contribute to the overall aesthetic appeal of the town, projecting a positive image of the high quality of life in Hagerstown. The Hagerstown I.O.O.F. 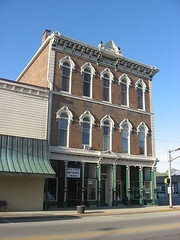 building in listed on the National Register of Historic Places. 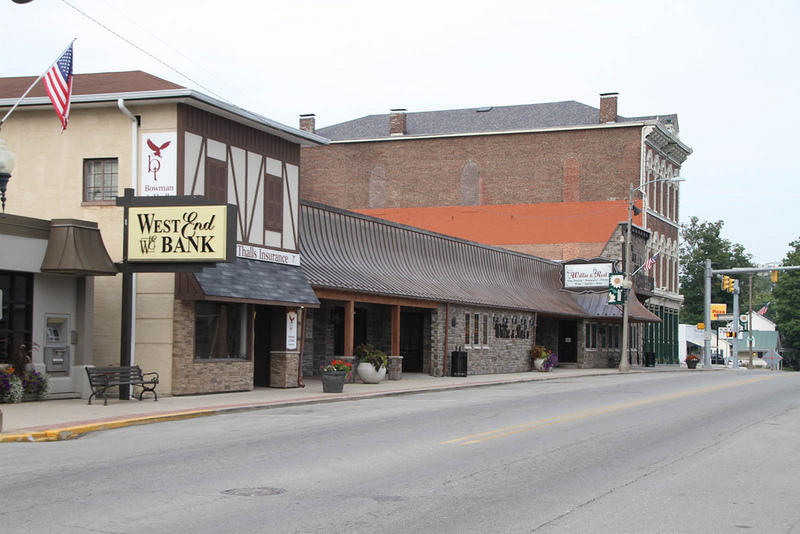 Historically, small town design was intended to produce recognizable districts, paths and landmarks. 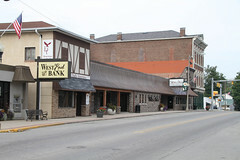 The absence of these recognizable elements creates confusion about how the town “fits together” and lacks identity and uniqueness. New buildings should avoid abrupt changes in height, bulk or character. The streetscape elements that define Hagerstown should be extended to cover both sides of Main Street. Increasing the community’s frontage by extending these elements will also enhance town character and make the community more inviting to residents and visitors. By encouraging mixed-use development, including housing in the downtown area, more residents and visitors will be drawn to Main Street. Providing convenient and well-marked parking areas and establishing pedestrian linkages between the downtown, schools, and parks will also increase the flow of people through downtown. Many projects which would improve community character could be done by volunteer groups and local organizations. Volunteers of all ages, especially children and teens, should be encouraged to participate in activities such as the construction and maintenance of community gateways.